We are united by our need to eat. Regional differences in climate and local distinctions in culture create amazingly diverse food systems. The richness and complexity of a given traditional food way makes life worth living by furnishing our stories, celebrations, basic nourishment and essential human values. All food starts with a seed. Everyone depends on seeds to provide the calories essential to daily function: the clothes that keep us warm; forage for animals we consume; paper for writing and learning, and so much more. Communities have grown to rely on food imported from beyond their borders - such a model of distribution has proven ineffective in offering basic sustenance to many, especially those without reliable access to grocery stores. To ensure communities can feed themselves in every incarnation, growing one's own garden and saving seed must become a fundamental practice. Whether a food pantry, community garden, or public library, myriad ways exist for seeds and seed saving knowledge to be shared. How can you build seed saving into your regional food system? Incorporate seed saving into your educational programs by hosting workshops. 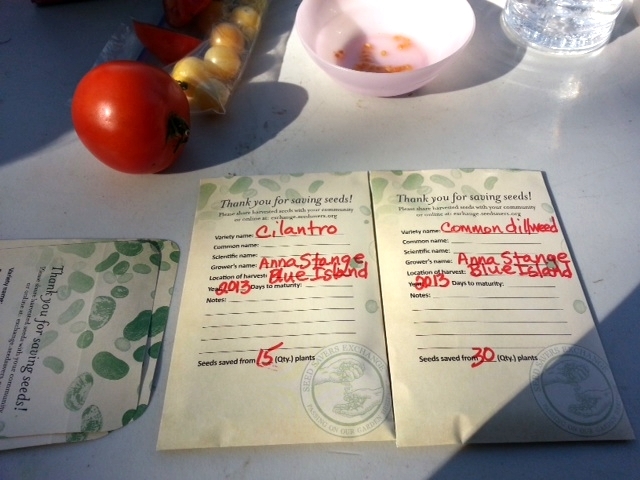 Organize a seed swap for members of your community to share seeds for their gardens. Start a seed library where gardeners are encouraged to take home seeds to grow under the condition that they bring new, healthy seeds back at the end of the season. In collaboration with Seed Matters, we are offering educational tool kits and mentorship for community groups who want to fold seed saving into their ongoing work. In order to qualify, applicants must be working collaboratively in a group and be willing to work in an outreach capacity on behalf of seed saving. Sieda Seeds of Hope is a community garden and nutrition program through Sieda Community Action Agency, serving seven counties in southeast Iowa. They have raised beds and in-ground community gardens in their constituent neighborhoods that primarily service low-income and elderly housing projects, senior congregate meals sites and nursing homes. 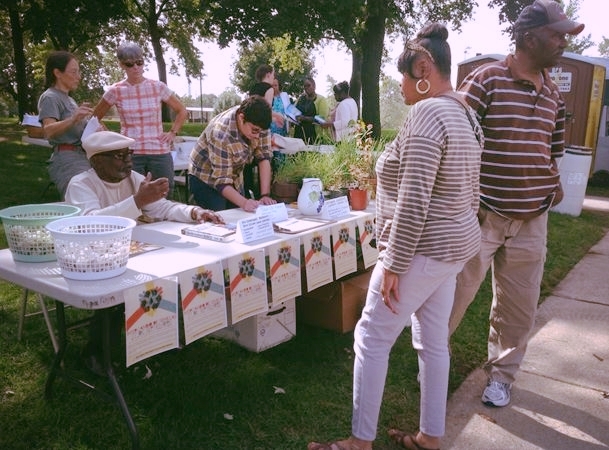 Blue Island Park District Community Garden is a community garden maintained by the Blue Island Parks District and comprised of gardeners from the community: learning how to save seed, hosting seed swaps, and collaborating with other regional organizations. Mountain View Library houses a vibrant seed repository, distributing seeds saved by community members (both individuals and organizations, such as local elementary schools); they also do seed saving programming. Local Seed Savers Exchange members and seed saving organizations host workshops that reinforce the connection between local gardeners and a network of seed savers in their region. Losing access to seeds and to the skills associated with saving and sharing seeds results in a massive disconnect from the food system. Rebuilding that connection takes dedication, patience, and knowledge. Apply to the Community Seed Resource Program today and be a part of the nation-wide effort to create a local seed movement in your neighborhood or region!